I will start with my favourite style, and the one you must have this season! They were pretty big last year too but this season somehow the trend exploded even further and what can I say, this girl here loves them! 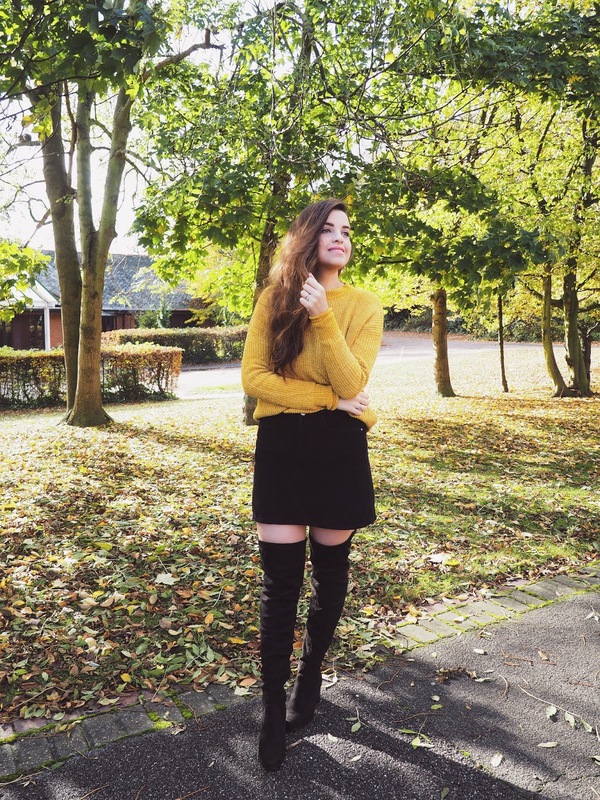 Over-the-knee boots not only give any outfit extra fashionista points, they are versatile and perfect for those winter days when you want something a little more covering (they are super warm over pants!). They look great with mini sweater dresses and skirts, but equally amazing with denim and pleather trousers! My favourite styles are definitely on suede and tie backs to avoid them falling down as you walk. 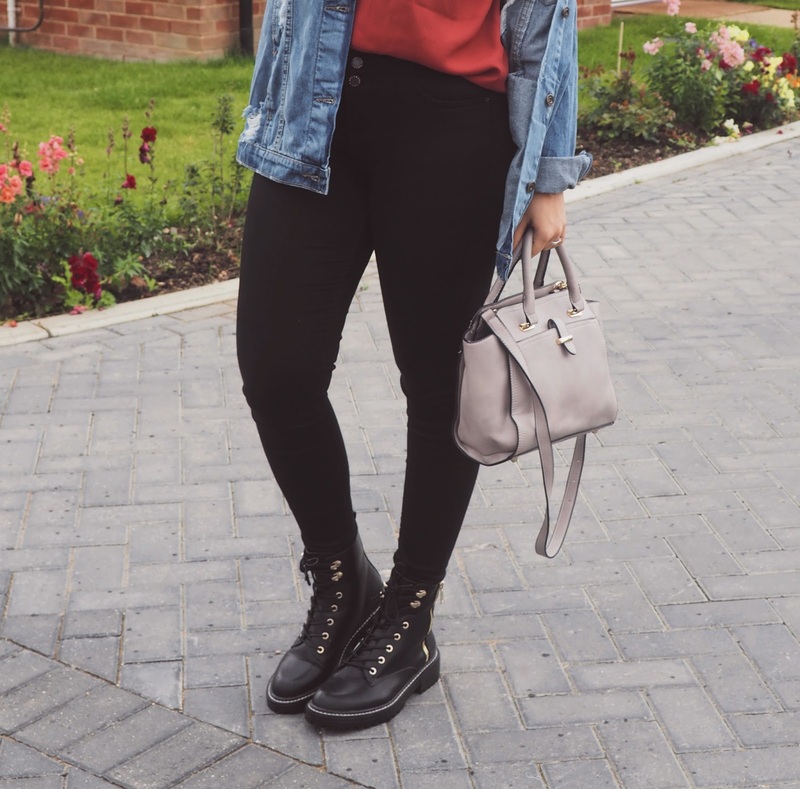 If OTKs are a little too much for you, a fun way of trying the trend in a slight variation is by adding knee-high boots to your shoe arsenal. Knee-high boots are equally comfy and they look right with so many different outfit variations. Not only can you rock them during the weekend for play, they also work well for the office environment. Designers have focused on slouchy and skin-tight styles this season so there is a style to suit every mood. For me, knee-high boots look amazing in suede and leather material, but I can't deny how amazing the patent pair I've linked below looks. I have yet to find my perfect pair but imagine how amazing red boots would look for a Christmas outfit! 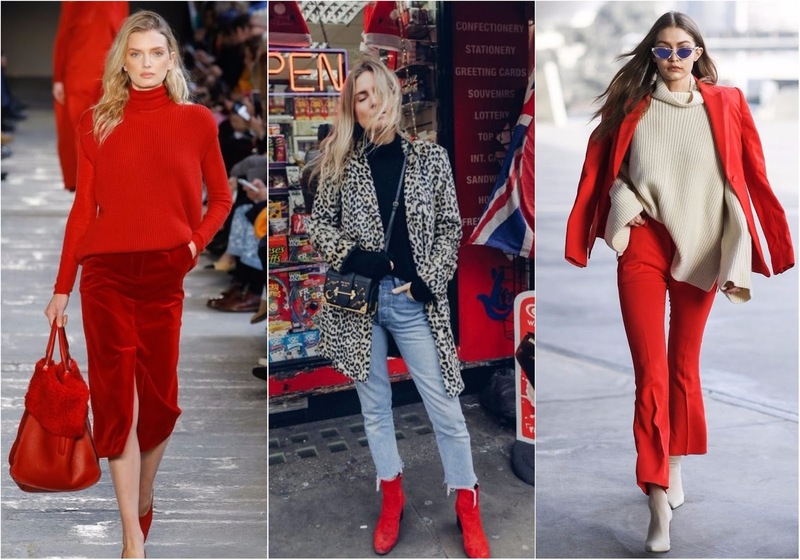 It's undeniable that red has been the colour of the season and whilst I have added red pieces to my wardrobe, like dresses and sweaters, my shoe collection is looking overly black (does that justify adding a new pair to it?). Pair it with all-black ensembles, but also with denim and a cable knit sweater for a more casual but comfy look, and go for vinyl styles for trendy vibes. Altuzarra and The Row rocked combat/lace-up boots at their A/W 2017 catwalk shows, and I expect them to be huge this season. Apart from heeled pairs which we have been seeing everywhere on the high street, and which I featured here and here. This pair of boots featured here are a lot more chunky and grunge, and I can't think of a better companion for those harsh wet winter days ahead. And last but not least, the most controversial of them all but definitely one to remember; white boots! They've been on a high for quite a few seasons now, despite being not for everyone, proving to be timeless. I wore mine non-stop during fall and have yet to incorporate them into my winter wardrobe but the best thing with these is that they work amazingly well for spring and summer too, so that's a pair you will be bringing out all year round. Plus, the white boot doesn’t feel as heavy or tired as black and it is the perfect way to inject some "light" into your winter outfits. Tell me which is your favourite style? Have you added any new pairs to your collection? Thanks for reading beauties and enjoy the weekend ahead! I love all of the boot ideas!! I am down to one pair of OTK boots and I wear it a lot! Love it and it just take the outfit to the next level. Agreed 100%. I have worn mine on repeat! Your black over the knee boots are really great on you, Pam! Get heeled ones, I bet you'd look amazing! I've never tried OTK boots and I'm not sure I'll jump on the trend. I don't really see them as for me. Just got a pair of knee high boots though from River Island and am in love with them. It's so true that they can also be office appropriate because I wore them to work the next day lol. High knee are close enough haha I'm sure you looked great! O meu calçado preferido são as botas! Number 4 are definitely my faves. YES YES YES! This post is amazing! I adore boots, I live in them. I adore biker boots the most! SO DO I! I definitely need to wear my biker boots more! All of these boots and your outfit ideas are amazing!! You've got the best boots! Wish I could wear knee high ones but my legs are far too chunky for that haha! I like all of these boots and your outfits are so cool!